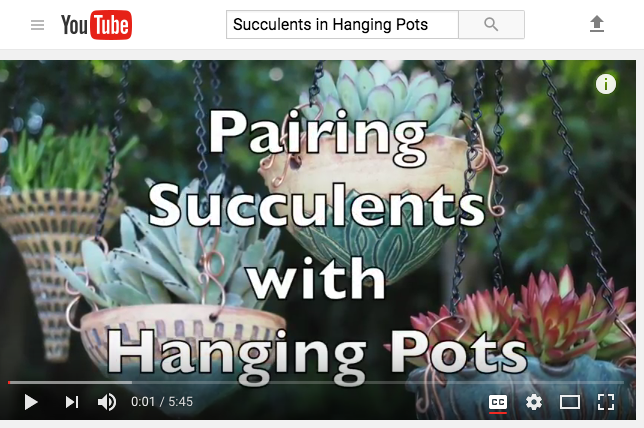 My latest YouTube releases illustrate the wide range of possibilities inherent in designing with succulents. 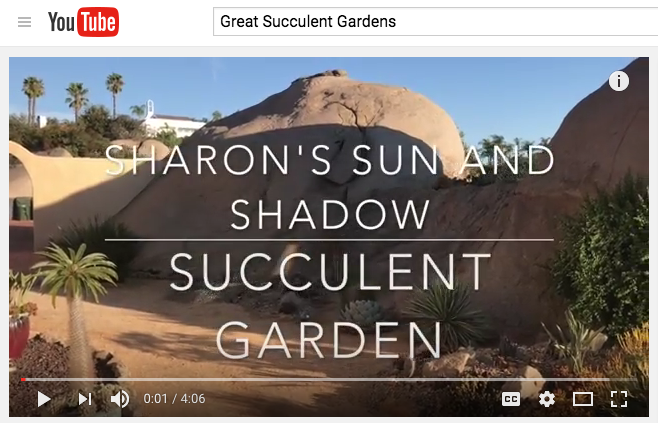 In Sharon’s Sun and Shadow Succulent Garden, I ditch a party to explore the host’s garden. Sharon Cook’s Santa Fe-style home and her property’s immense boulders serve as glorious backdrops for succulents large and small. See what the guests who stayed inside missed! Want to be notified as soon as I release a new video? Subscribe to my YouTube channel.